​Moving from prayer to action and giving families a hand-up in their of need. The recent political uprising is causing many problems in Haiti. First we want you to understand that the majority of Haiti does not condone or want violence. There are many innocent citizens whose homes, vehicles, and businesses have been damaged. Most people in Haiti, including our friends and staff, are angered by the violence and want it to stop. However, due to political corruption, demonstrations such as these are one of the only ways that many people feel they can “be heard” in order for change to occur. And believe me, change DOES need to occur. Second, it is important to understand how these demonstrations cause many problems to trickle down. While the most violent protests are contained to Port-Au-Prince, there are many protests and road-blockages popping up all over the country. These road blockages are making it very difficult for resources such as food, water, and medicine to be transported from the capital and other larger cities to the smaller towns and villages (like Montrouis where we operate). Bear in mind that these are already difficult to access in many remote villages, and the sick, elderly, and children in these villages are feeling the result even many miles away from PaP. In addition to becoming hard to access, resources are now very scarce, which of course results in the prices of these items being significantly raised. Price gouging is happening all over the country. Rice, propane (to cook the rice) and gasoline in particular are now very scarce and expensive. It’s hard for us to fathom, but remember that 80% of Haiti’s population lives on $2.00 a day. So price gouging is a real problem not only for comfort, but for survival. and simply going safely about one’s daily business has been non-existent in recent weeks. Every time the opposition incites the few to violent means, the disruption to the country is often crushing. This time, it is devastating – the Haitian currency continues to decrease in value, the price of food continues to increase, and the Haitian government is still unable to pay for services needed by the people. Our partners in Haiti have informed us that prayers can now turn to action! As the country becomes more stabilized, it is slowly becoming more safe to travel. However, staples like rice, propane, and gasoline are now very scarce and expensive. Prices will be excessive, and the majority of our families will be unable to purchase such goods. We are also aware of a community (Rousseau) about 20 minutes from our school – but up a treacherous mountain road – which is effectively cut off from receiving resources like clean drinking water and food staples. Along with our Canadian based sister organization Haiti In My Heart, we are now launching Hands Up! - an appeal to raise funds to assist our families and the community of Rousseau. These funds will be a practical tool, combating further malnutrition and disease, and an uplifting tool, combating the despair and hopelessness that often follows such dark times. Any amount that you can spare will help us help them! If you can help, please use the donate button below. Thank you for your action! Roads all over the county are blocked by protesters, making resources hard to access, scarce, and expensive. ​ Join Our Sponsorship Team! Our sponsorship program is the easiest and most effective way to help us continue to serve the people of Haiti. Sponsorship begins at just $35 a month. Your monthly commitment allows us to continue to meed the needs of our students, staff, and the families and community members surrounding our school. The more monthly sponsors that we have, the more of an impact we can have for extra projects in the community!! You can correspond with your sponsored child by sending letters, pictures, or small gifts when we have teams that travel. Your monthly sponsorship can TRULY change the future for one of our students be providing them with continued education. You can join our team by the clicking the "Sponsorship" link above and following the directions to begin your monthly donation through Paypal. You can sponsor one child for $35, or choose your own donation amount if you feel led to help in a bigger way! In the past year we have visited the community of Roussea twice. They are in dire need of the basics. They have no well and must travel miles to a clean water source. Many of them are lacking adequate shelter, they have very little medical care, and no school for the children living there. We would like to be able to help this community which is located on top of a mountain about 20 minutes from the town of Montrouis. However, in order to be able to help them, we need a stronger base of sponsors to help us meet our regular monthly financial needs for Institute Mixte Remax. Your commitment of becoming a sponsor not only helps our IMR students, but also allows us to reach out and help this community as well with any extra funds we raise! ﻿﻿L.O.V.E. for Haiti strives to improve Life, Opportunity, Verse, and Education in Haiti. Haiti continues to suffer from extreme poverty. Most Haitian adults struggle to provide for themselves and their families on a day to day basis. Many families cannot afford to send their children to school. Without education, these children do not have the skills needed to later find sustainable jobs. We believe that education is the key to changing futures. We work to support Institute Mixte Remax in the coastal town of Montrouis, Haiti. We have over 200 students in grades Pre-Kindergarten- 7th enrolled at IMR. These students are provided with uniforms, books, and all needed school supplies, as well as a daily meal. 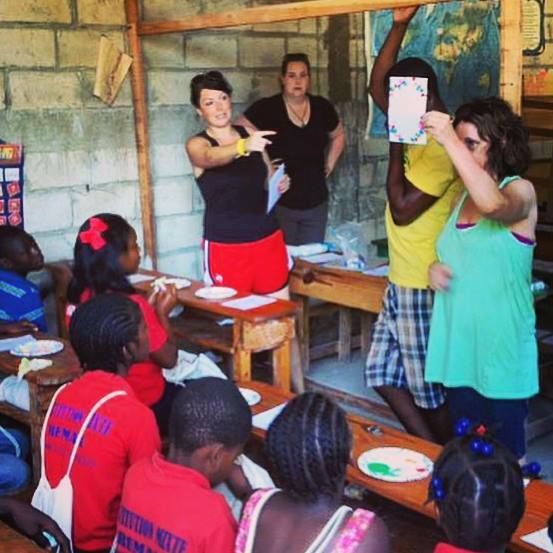 They are taught a Haitian curriculum and weekly Bible lessons. We employ 18 teachers and staff members, providing them with a monthly salary to support their families. Through fundraising, sponsorship, and travel opportunities, we are working to provide education, opportunities, and resources to the Haitian people in the Montrouis and Rousseau communities. 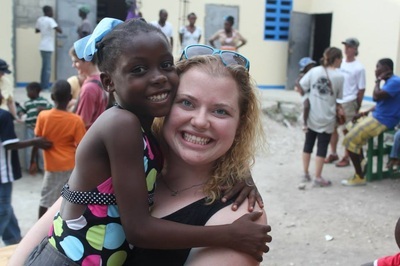 In September of 2012, I traveled to Haiti with Soles4Souls. 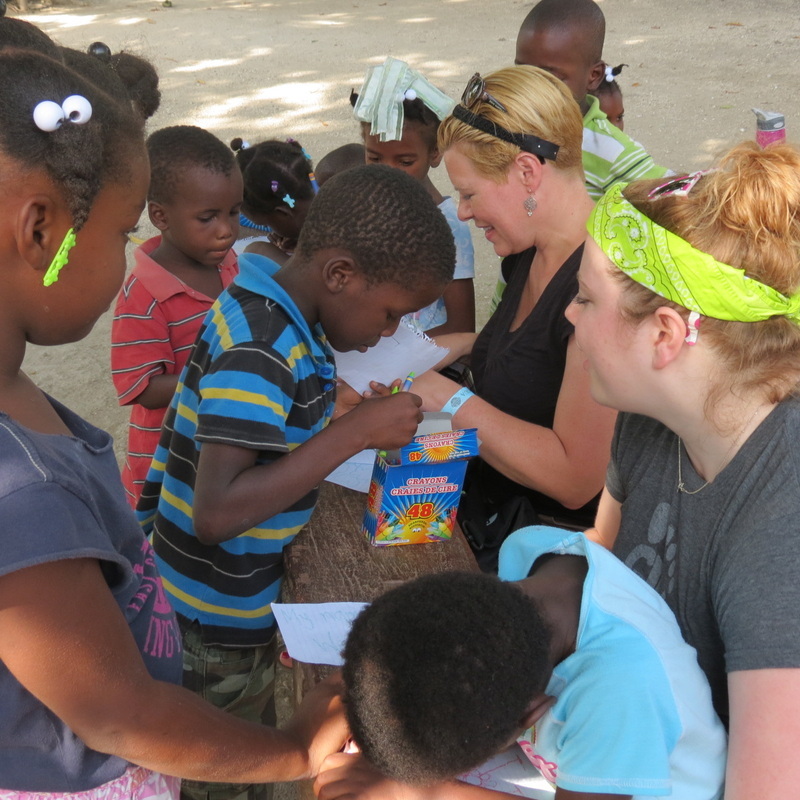 As part of this amazing trip we distributed shoes and clothes to Haitian children and adults in need. I instantly felt a calling to continue to help the hard-working people of this country. While on this trip, we met an incredible person named Paul. He was our interpreter for the trip. We became instant friends and I could see that he has a strong determination for bettering the lives of children in his community and country. With help from Paul to coordinate my trip, I traveled back to Haiti in December of 2012. While on this trip I visited a small school, Institute Mixte Remax that was trying to provide free education to the children of the area. 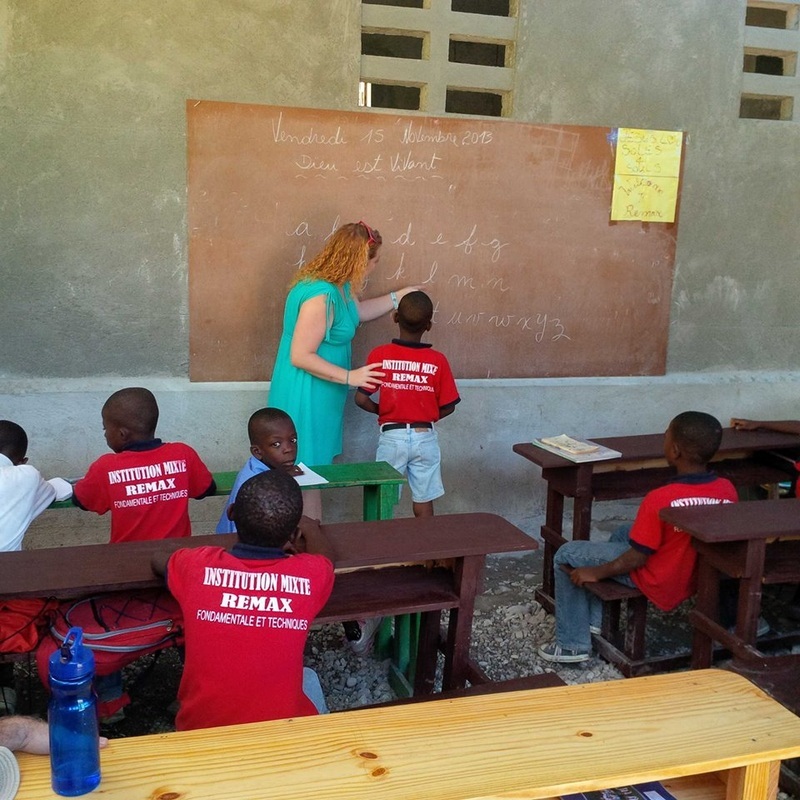 As a teacher myself with a passion for helping children, this trip inspired me even more to dedicate as much time and energy as I can to provide assistance to support the Institution Mixte Remax (IMR). Since 2012, the Lord has showered us with many blessings and tons of progress. We are so excited for the future and being able to provide for the students and teachers. 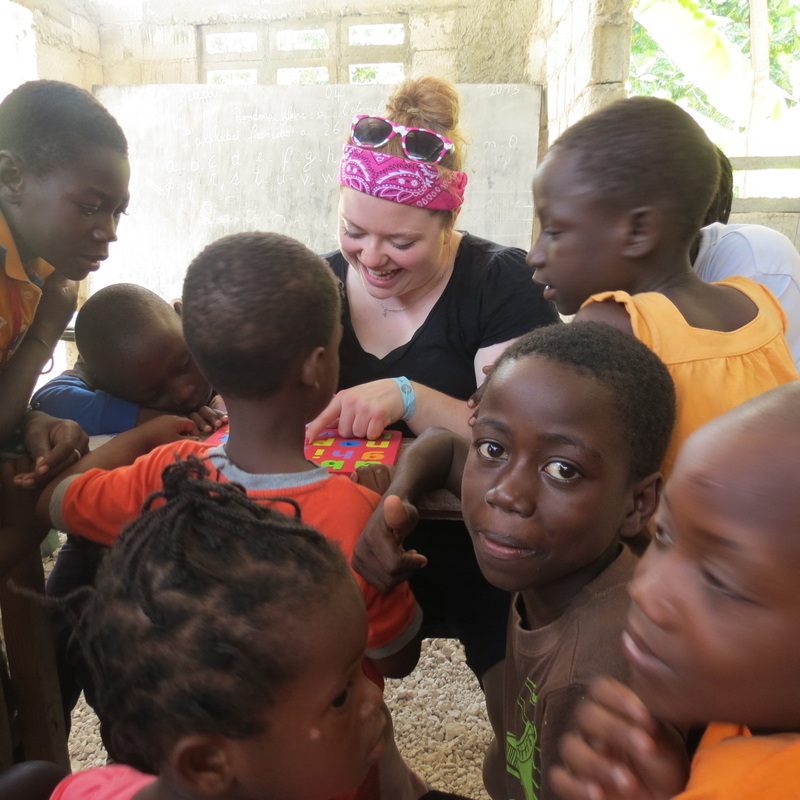 I have traveled to Haiti a total of nine times now, and I travel as often as financially possible in order to be a hands-on participant in sustaining and growing IMR. I thank you all for your support financially, emotionally, and prayerfully. 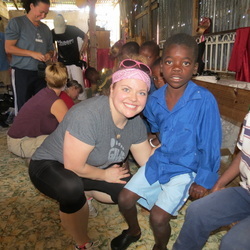 I first traveled to Haiti with Soles4Souls in April 2011. To say that I had my heart was broken and life wrecked in that week is an understatement. I didn't fully know what God had started at the time, but I knew I was in it for the long haul with Haiti. I was able to travel to Haiti four more times with S4S, making incredible friends, experiencing different cities and communities throughout Haiti and falling more and more in love with this beautiful and broken country. The call to move to Haiti was ringing loud and clear in my head by 2012 and God started putting things together for me to move down full time. With a degree in elementary education, I share the same passion for education as Dianna and knew I wanted to work with a school if at all possible. My dear friend Paul connected me to IMR in the fall of 2012 and God did the rest. I relocated in September 2013 and will be living in Haiti indefinitely as we work to improve and stabilize the school. My biggest goal is for the school to be successful and sustainable, providing the opportunity for the children of Montrouis to receive a free education. May they know through this education and the support that funds our school that they are beloved, precious children of our loving, perfect Creator. I am so thankful for the support that allows me to live here full time and for the support that helps allows our school to provide a free education to the deserving children in this community! I covet your prayers for our safety, for wisdom to guide the school and our students, and that our actions may always glorify God in all we do! ​Maxime (3rd from left) was the Director and founder of Institute Mixte Remax (IMR). He and his wife originally began building the structure intending for it to be their home. When they realized how many children in the community were not attending school because they couldn't afford it, they decided to sacrifice the building in order to begin using it as school. His dream was to help his community through education. In Sept. 2017, Maxime was called to his heavenly home. We strive to continue to fulfill his dream and make him proud! Paul (2nd from left) is the backbone of our mission and connecting piece to this puzzle. He partnered Dianna and Maggie with Maxime and IMR after meeting them on Soles4Souls trips. He is our continuous interpreter, trip coordinator, and in-country partner. He has a generous heart for helping those in his community, and his work ethic is inspiring. We are so grateful for his partnership! We are also very grateful for the hard work and financial support of our board members Karin, Courtney, and Kim. Find us on Facebook to stay in touch!